Stop… Look… Enjoy… KL. Seeing it again. This was my third trip to KL and if it were not for my friend, I would have stayed longer in Cambodia or would have stuck to my original plan of going back home to Manila via HCMC. But I had booked my January 5 Air Asia flight from Phnom Pehn and there was no turning back. I arrived at the LCCT with a large box filled with Cambodian traditional instruments I had collected from Ratanakiri and Phnom Pehn. “Ke mana luggage storage?” I asked a female Malay security guard walking along the narrow corridor that connected the domestic and international areas. She looked up at me from her mobile phone, frowned and said, “Where you from?” then curtly answered, “Inside,” which was the wrong answer as I was to find out later that the storage facility was just outside the international arrival area. I seemed to have disturbed her texting. It cost more than RM 400 to keep the box for 5 days but it was roughly the same cost of getting to/from the airport on a cab with the box. I was instructed to have the box x-rayed at the domestic check-in area first. Got the valuable “Security Checked” sticker on the box, paid the fee, then took the shuttle to Chinatown. It was past 8 in the evening when the bus finally came to a stop. The flight was delayed which made for the late arrival. 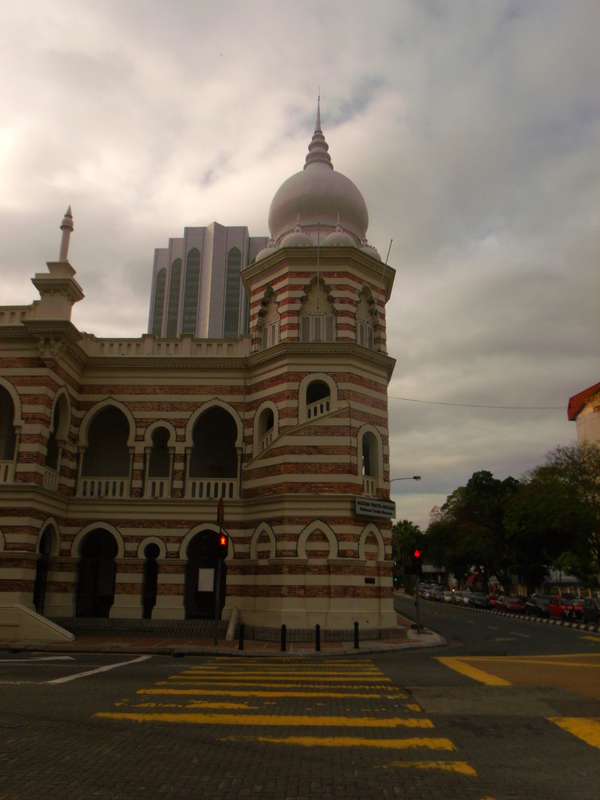 It was a 30 minute walk to Jl Sultan and to Transit Point Guesthouse. It took a while before I was let in and up the flight of stairs (thank god I didn’t have the box with me) as the one-armed Indian guy manning the reception was on the second floor doing some laundry. A password was needed for the electronic door and first-time guests would have to ring and wait for someone to answer the intercom. I was getting spooked with the homeless guys hanging around so I just kept on pressing the doorbell. Fortunately, another guest heard me and called the guy. The single room was clean enough and had good a/c which was what really mattered. I had some roti with cheese and nasi lemak all washed down with a glass of rose juice for late late dinner at an Indian food stall in front of the convenience store. Really good and delicious. Other than heading to Melakka for the weekend there wasn’t really anything planned on this leg of my trip since my friend ditched me. A national park was totally out of the question due to costs and time. KL lay before me and what else could I do but dive in and experience it again. Make no mistake about it. 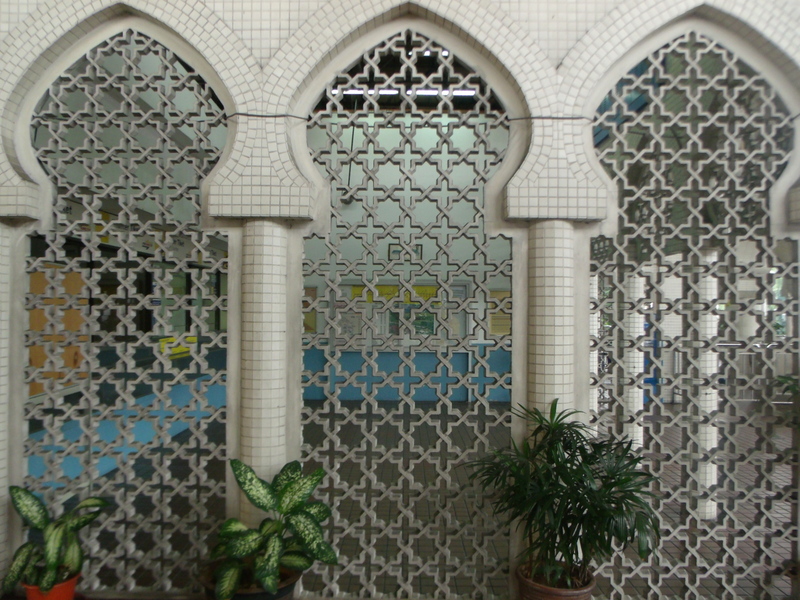 KL is a beautiful city with majestic Islam-inspired architecture and modern buildings. It’s a place that wants you to walk, stop, and look. It wasn’t my first time so I had no need for a map and simply took to the streets where my feet would take me. I like staying at Chinatown as old Chinese shophouses are just a skip and a hop away from KL’s colonial core that sit side by side with more modern structures. 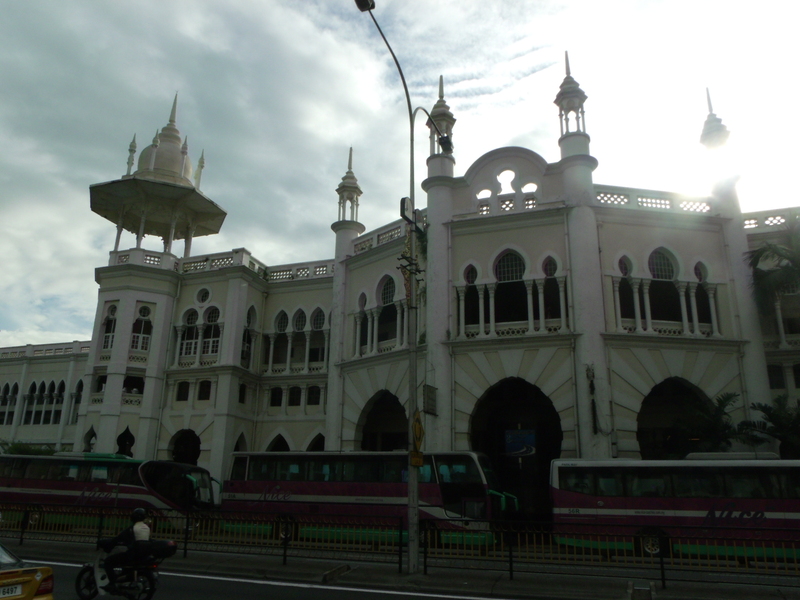 I keep seeing the Moghul-inspired KL Train Station designed by AB Hubbock each time I wait for the train at the Pasar Seni station which is just a few minutes walk from my accommodations. Beckoned by its beautiful towers, I headed there one fine morning. Except for being a stop of the KTM Commuter all operations have move to the modern KL Sentral. The emptiness and the silence seems to magnify its magnificence as it sits stoically. 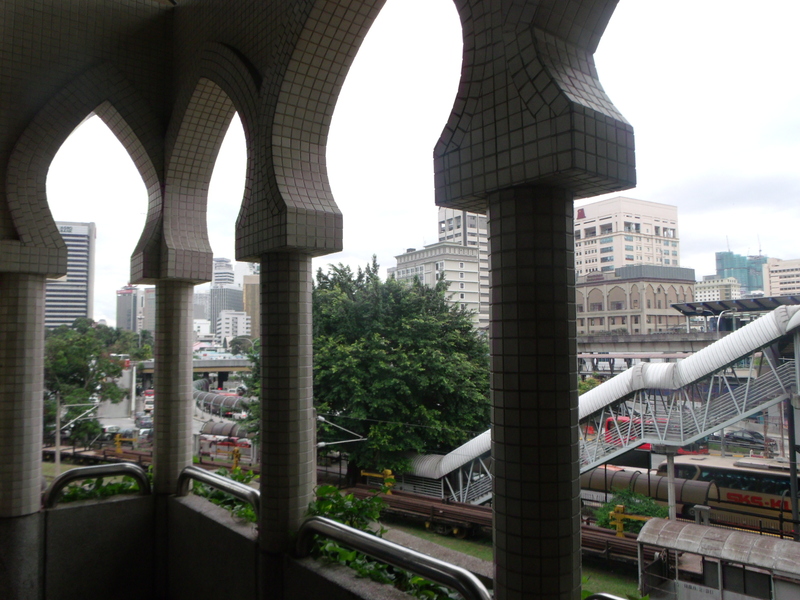 It was a little tricky to get here from the Pasar Seni station as most sections of the walkway were closed. I went through the POS building and exited to the other side, went-up a car park building, crossed the parking lot and to the walkway linking it to the station. 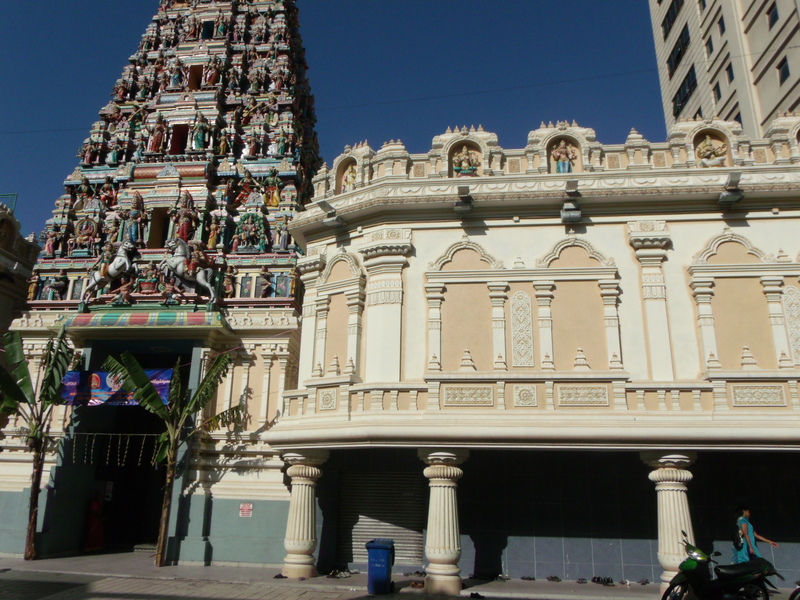 A sizable Indian community (descendants of the Indian workers brought by the British) means lots of good Indian food and the wonderful technicolor Sri Mahariamman temple. 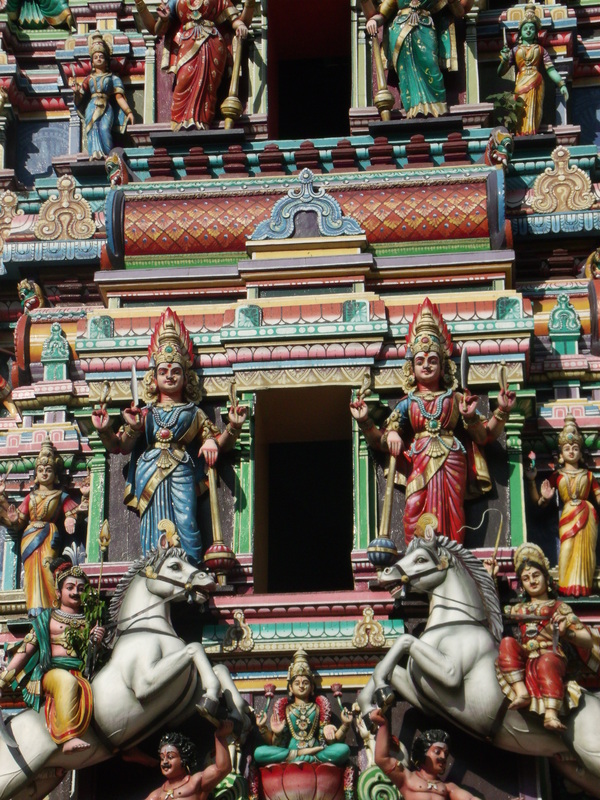 Hindi temples are the most colorful of all temples I’ve visited in Malaysia. The ziggurat-like piece on top of the entry way is people with deities and other personages from the Hindi cosmic world in wildly colorful outfits that look straight out from a technicolor dream. His father is a Bajao from Sabah and his mother is a Bajao from Zamboanga. The craft center is big and has a good collection of expensive finely made handicrafts. The beautiful wood carvings made by the Mah Meri of Pulau Carey were at RM2,500 and up! More interesting is the two-level museum showcasing the different handicrafts and how they’re made from the gathering of the raw materials to its final finishing. Exemplary craft masters awarded by Malaysia as national treasures had their profiles displayed together with samples of their crafts. 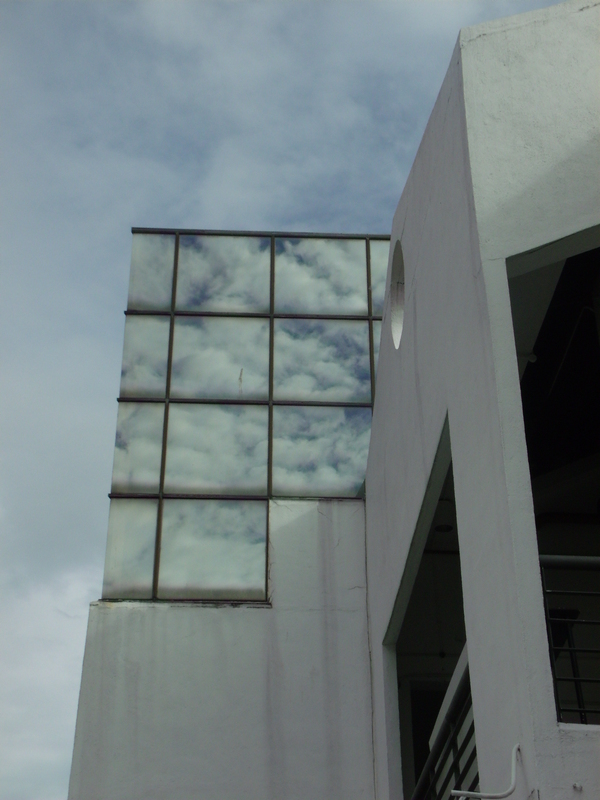 Most enjoyable were the exhibits at the second level accessed by an elevated walkway. 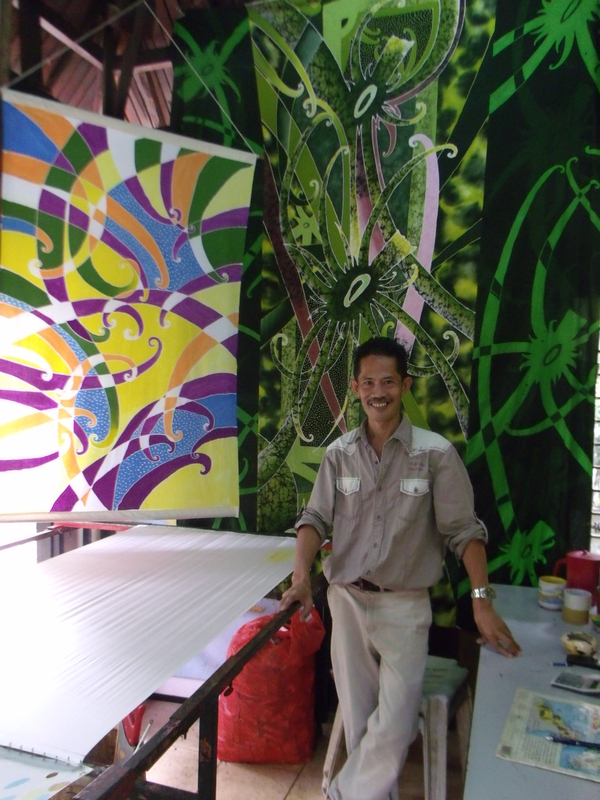 Large samples of Sarawak’s colorful textiles with their geometric patterns hung from the walls. I was surprised to learn that a certain textile of a group in Sabah had its origins from the Philippines! It took me 15 minutes pass the beautifully-restored building housing the Badan Warisan Malaysia offices that bats for preservation of the city’s colonial relics and the Seri Melayu restaurant. 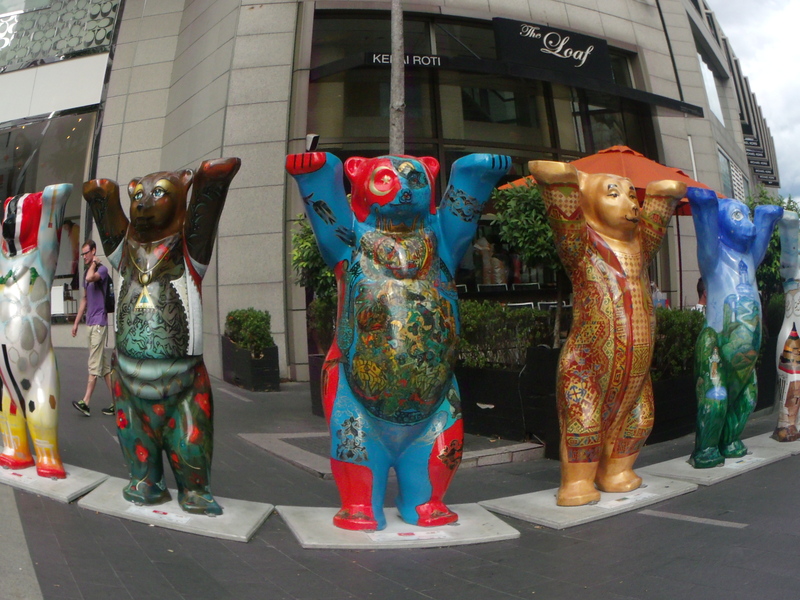 These bears represent a particular country and have been traveling around the world to promote world peace. They look kinda creepy though. I still prefer the Care Bears. I wasn’t particularly excited arriving in KL as I had seen most of what the city had to offer but the next following days made me re-think it and by the time I was heading back home on the 12th, I had wished to stay longer. Those who are wary of street side stalls dispensing the ubiquitous Malaysian kopi can head to any of the modern air-conditioned kopi tiam now dotting KL. A departure from the old-fashioned kopi tiam of old, the upscale version is more Western than Malaysian as far as physical structure and interiors are. The coffee however is distinctly Malay. Served hot or cold, with condensed milk or not, it’s Malaysia in a cup or glass. 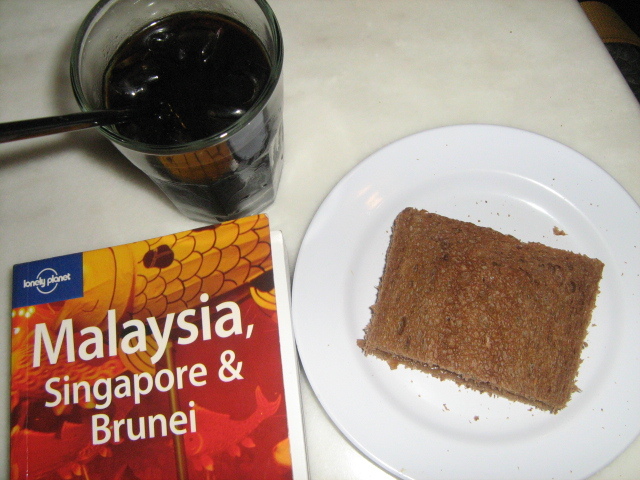 I prefer the hot sweet kopi c paired with some kaya toast. Old Town Coffee is probably the best of the lot of modern kopi tiam. 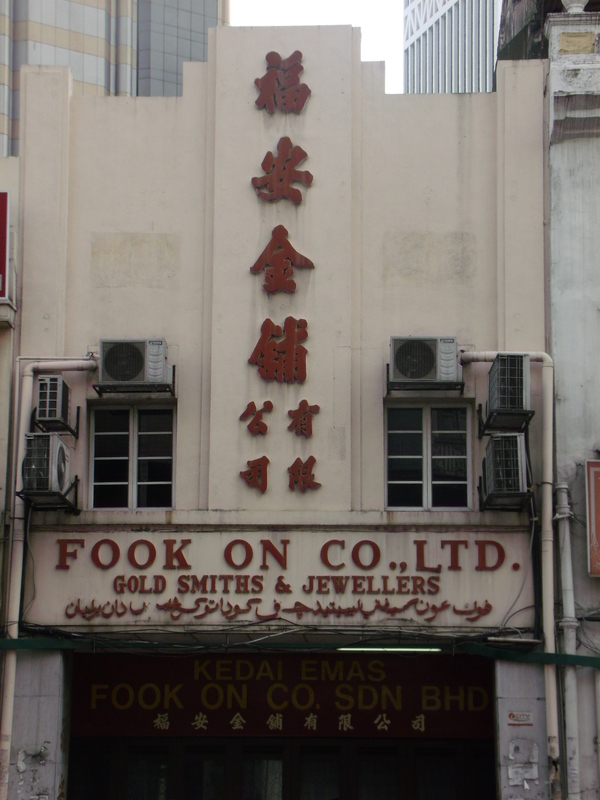 It is everywhere in KL and the I guess, the rest of Malaysia too. I saw a branch in Georgetown. 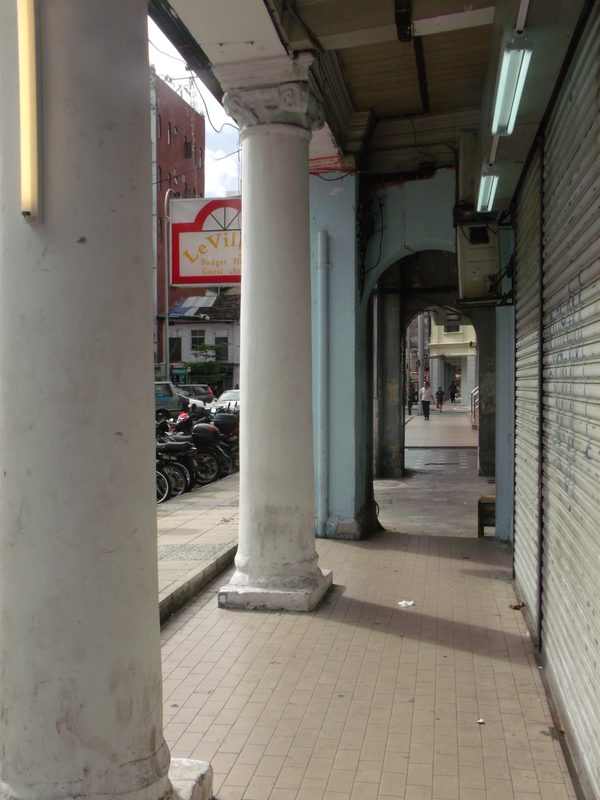 This one was taken on my first trip to KL back in 2008 at a small branch inside the Central Market where I ducked for respite from the heat.